The prawn mee that I have always been wondering of everytime I pass by Beach Road. It was an impromptu decision on a Saturday Morning and we made a trip down for breakfast, finally! The man prefers to have a bigger bowl for his stomach and got himself a big portion at $5.80 instead of the smaller portion that cost $1 less. 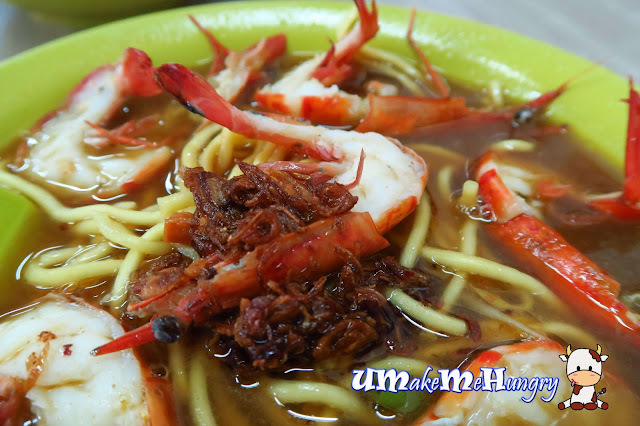 Prawn noodle soup was topped with fried onions in oil, enhancing the flavours of the original bowl of noodles. The broth of the noodle plays an important role and at a very first mouthful of it, the taste of it had already stolen all my tastebuds away. It's sweet and rich flavourful soup was awesome. There are not too much prawns in the prawns and pork ribs noodle. 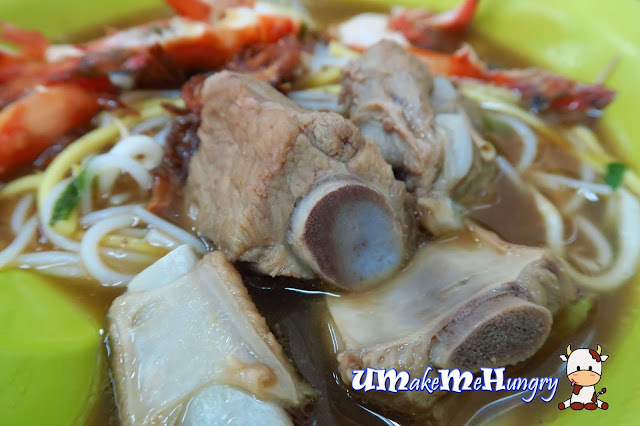 Sharing the same taste in the soup, this delicacy is undeniably one of the best in Singapore. Pork Ribs were cooked to such a way that meat fell off easily from its bone. Yummy! I'm glad a trip to Beach Road is all worth while afterall, the taste was real good! 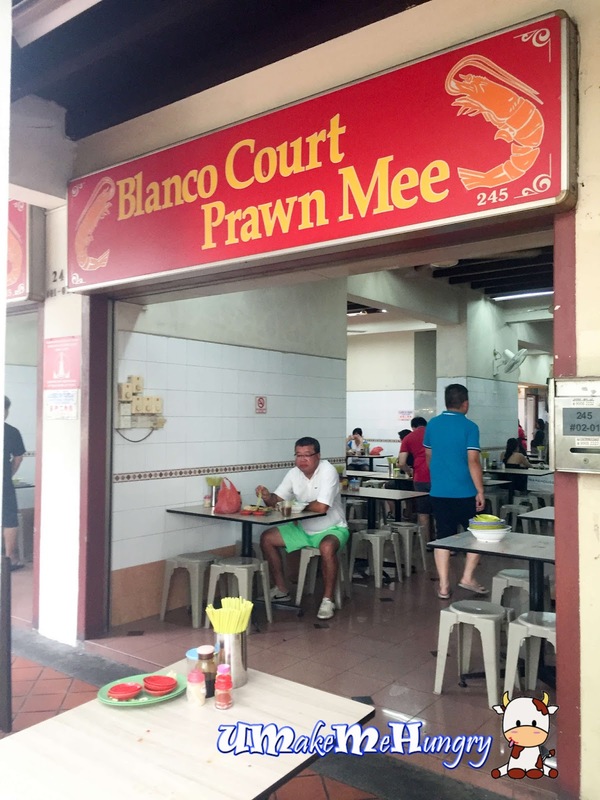 There are a few handful of tasty prawn noodles I have known and Blanco Court's prawn mee was somehow comparable to those. If you have more to spend, try ordering the 3 in 1 Noodle that consist of Prawn, Ribs and Tail to enjoy a full dining experience or if you are keen on bigger prawns, try out the Jumbo Prawn Noodle!